I love putting on a good, old-fashioned backyard party to gather friends and family. A good cookout is all about enjoying great people, GOOD FOOD, and plenty of fun in the sun. Thinking about gathering your own friends and family over for some grilling and sipping? Here are some of our favorite tips, recipes, and drinks for throwing a great backyard party! First things first, a cookout is all about the food (and family of course) but every guest is coming there ready to eat. 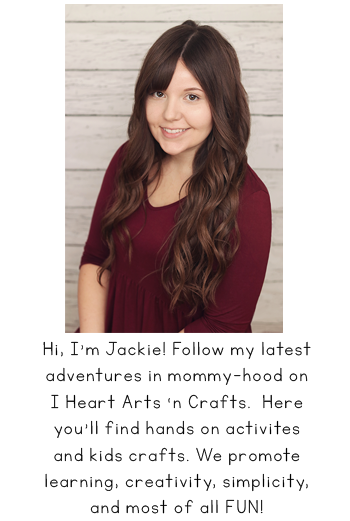 When choosing high quality meats for my family we love the quality and selection of Fareway Meat Market and their delivery service. 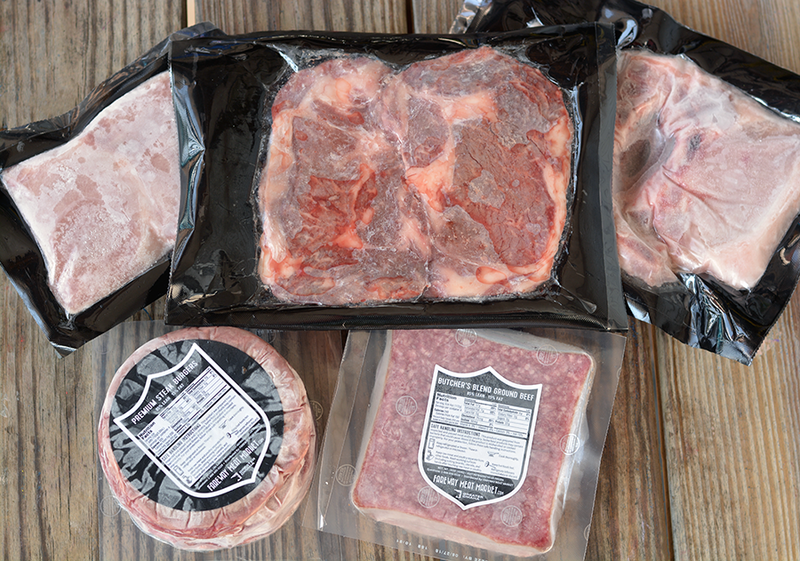 With 80-years of experience, they provide Midwest-raised, cut-to-order meat from expert butchers. It’s hand-cut fresh, tender and rich in flavor, without any of the additives that come from processing. The shipments always contain the highest quality meat products and arrive frozen to ensure proper food quality and safety. Fareway Meat Market also provides meats such as Butcher’s Blend Ground Beef and Premium Steak Burgers that are also featured below! Want your own meat delivery service? Visit FarewayMeat Market to order meat online. You can enter code “meatlover” to receive $20 off your first order. Pick easy classic recipes – with a fresh twist. For the most part when throwing a backyard party I like to keep things simple, even with the food. But when it comes to the burgers I love having a variety of toppings available so that we can create our own gourmet burgers instead of just plain cheeseburgers. I also like to have sliders available for the kids because they love burgers but never eat a whole one themselves. 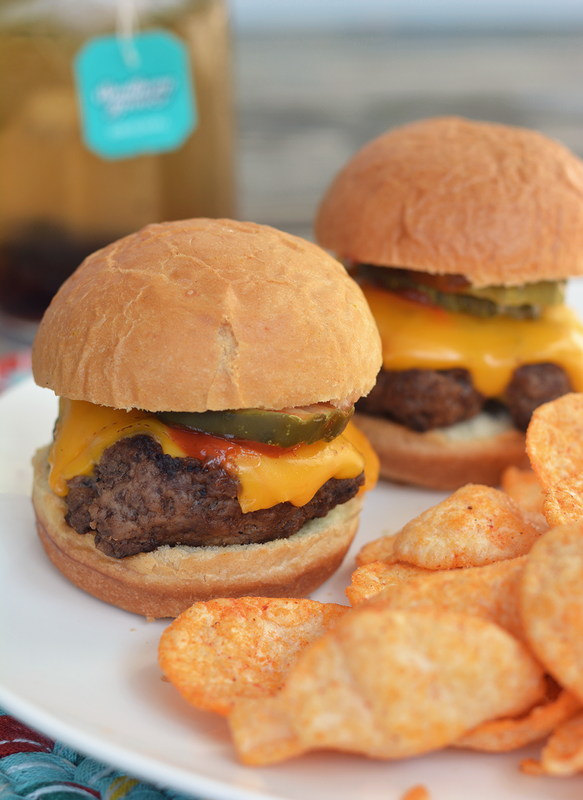 These cheeseburger sliders are the perfect size for them. 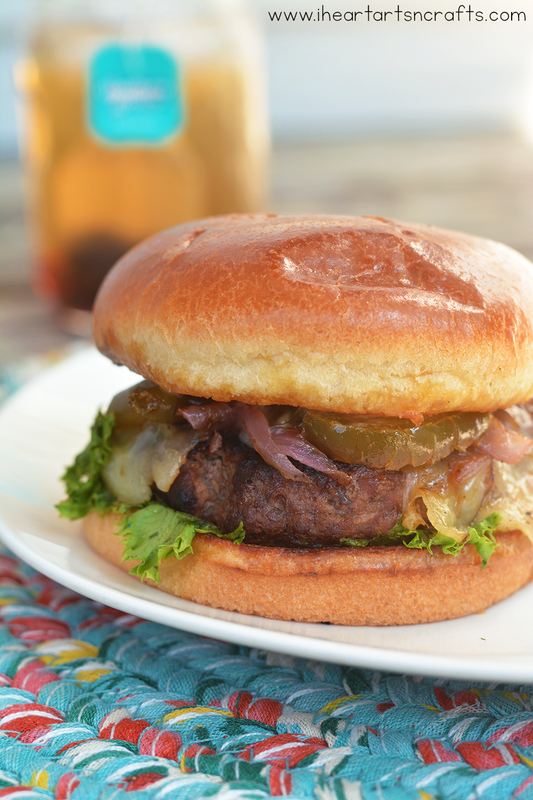 Some inspiration for other burger recipes is this Philly Cheesesteak Burger and Hawaiian Burger. These burgers taste like they took a lot of effort but they totally didn’t! I made this from Fareway Meat Markets steak burger and added mayo, provolone, tomato, lettuce, and sautéed onions and peppers. DELISH! This is perfect paired with some corn on the cob. My husband always opts for something with bacon and bbq sauce. 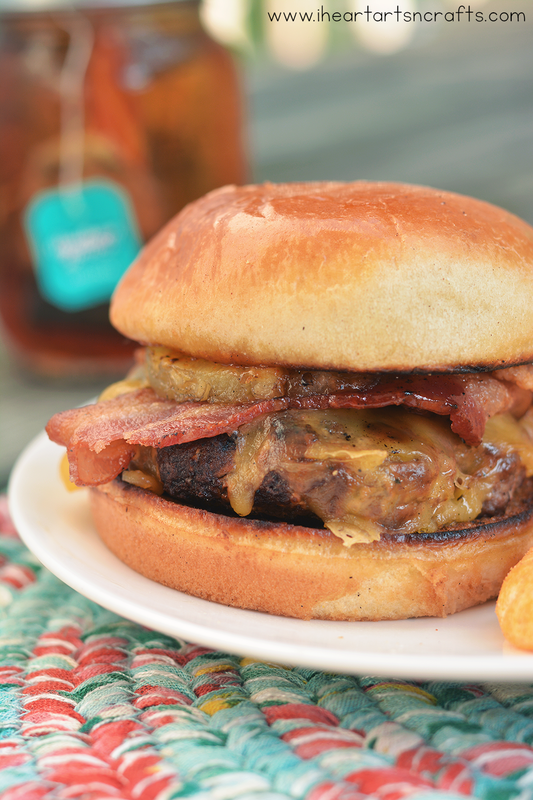 This is his Hawaiian Burger recipe he made on the grill with Fareway Meat Market’s Steak Burger, it’s topped with grilled pineapple, bacon, BBQ sauce, and American cheese. For easy sides to pair with the burgers we like to do some corn on the cob or a salad. If you’re planning on having a lot of guests attend you can save time by doing the cooler corn trick. Simply clean out a cooler, add in your ears of corn, plus boiling water and shut the lid. Once you open the lid 30 minutes later your corn will be done! I’ve done 15 ears of corn this way to save time and it was such a lifesaver! Next you’ll want some pitcher-perfect drinks. I can never resist the urge for a tall glass of iced sweet tea at a good BBQ. So in addition to serving bottled water at our BBQ’s, I like to whip up a pitcher (or two…or four..) of Sweet Tea. You can even add in other options like Peach Tea or add in fresh fruit for a simple twist. We are tea lovers in this house so I was so excited to try this Southern Breeze Tea. The tea bags come pre-sweetened and take only 5 minutes to make. You can mix up a batch alone, add in some fruit, or even make a whole pitcher. But the best part is they taste AMAZING! Plus, it’s zero calories and zero sugar, so you can enjoy them guilt-free! 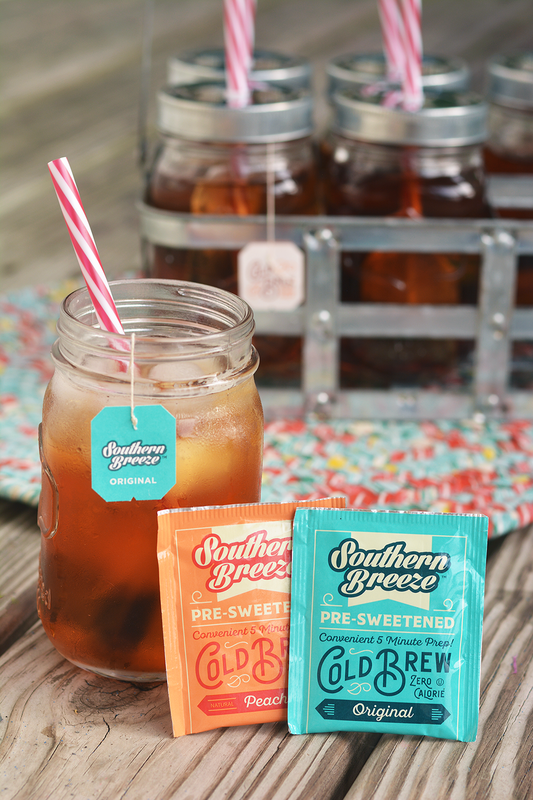 Southern Breeze Cold Brew Tea comes in four amazing flavors such as original, peach, raspberry, and half tea half lemonade. 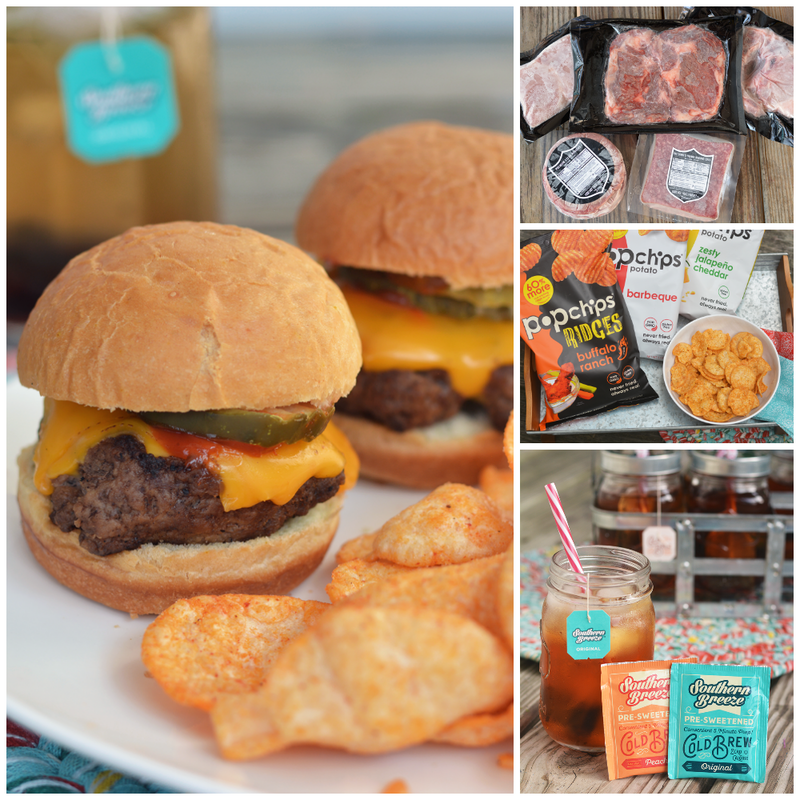 Click here to learn more about Southern Breeze Tea and get free shipping on your first order! Don’t forget the snacks. While the food is on the grill you’ll want to have some tasty finger foods available. You can serve a healthy snack like Popchips! They are never fried and only use real ingredients. You can serve these plain or even with dip! 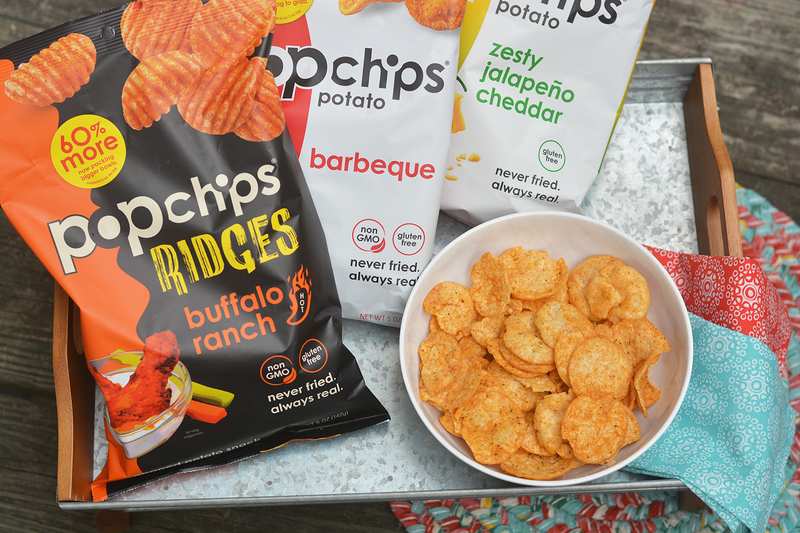 You can find out more about Popchips here. And don’t forget outdoor games for the kids (and adults too!). 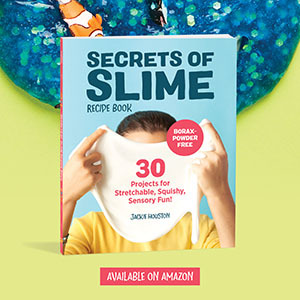 You can check out these super fun and frugal ideas below! 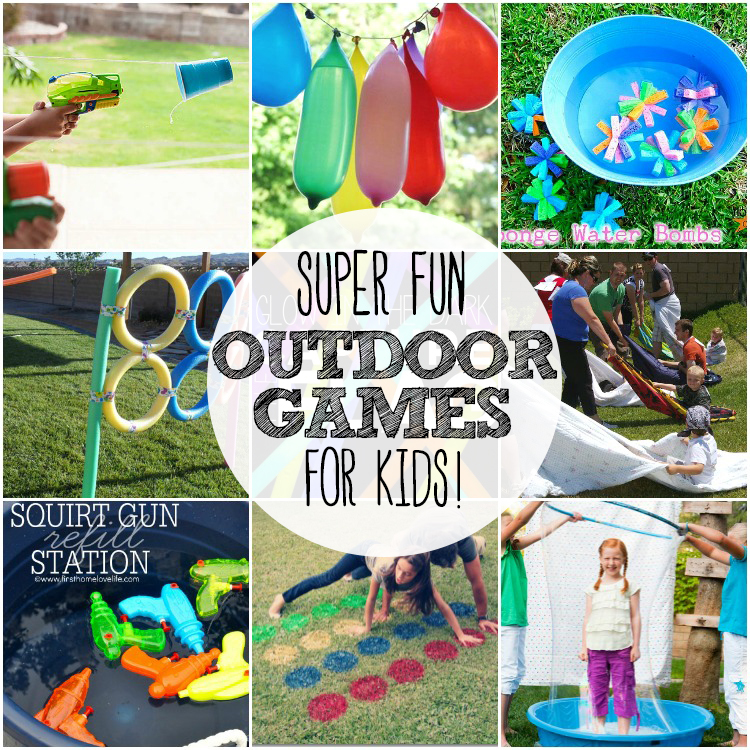 There’s some simple outdoor water games to cool off and a few that even the parents can join in too. Do you have any favorite recipes or entertaining tips of your own? Share in the comments below!